Is your Biz ready for the next round of Holidays? In my post 2018…Here we Come I ran through holidays for January and February, and provided some suggestions for items you could sell in your shop as well as time frames for promoting those items and holidays. Here we are in mid-January and the question of the day is ‘Is your biz ready for the next round of holidays?’ It’s a never-ending battle of staying ahead of the game and being ready. Let’s look at a few holidays on the horizon and see what we can pull together to help your business. Mardi Gras, spring break, spring sports, and anything spring will be here before we know it. It’s been unbelievably cold here in Georgia so I’m ready for spring. I mean, really, really ready! As long as you haven’t been living under a rock, you know that Mardi Gras is a huge weeklong party in New Orleans. I’ve never been, but I have many friends who have, and it looks like a crazy fun time. You will see designs with bright colors of golds, greens and purples. 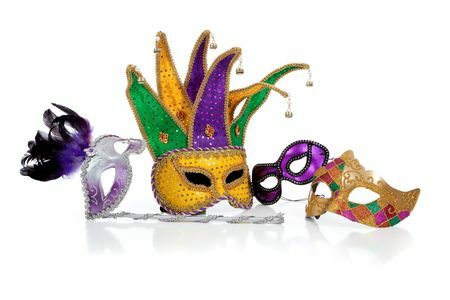 This year Mardi Gras falls on Tuesday, February 13th. If you have an embroidery business, be sure to check out some of the cute designs at Embroidery Panda (and, if you sign up for their newsletter, you can often get some fun designs for as little as 25 cents!). There are even some embroidery designers who have created amazing Mardi Gras mask designs – physical masks you can wear. I haven’t personally created any so I can’t recommend anyone in particular, but if you do a Google search you will be amazed at the designs available. Oh spring, how we miss you! Tuesday, March 20th is the first day of spring (not that I’m counting, or anything). 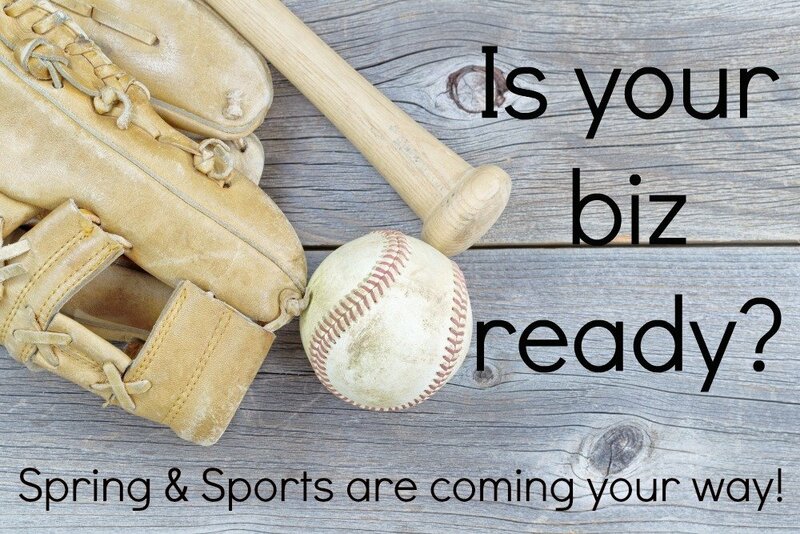 It will be time to drag out the baseball bats, soccer gear, and anything else related to spring time and spring sports. And, let’s not forget spring break! This is a great time to promote your sports themed t-shirts – especially for the moms, sisters and brothers who spend countless hours in the stands watching their favorite star players. You can get a lot of inspiration from Google, Etsy, Facebook and Pinterest – just be sure to make it your own. If you don’t love when people copy your work, don’t copy someone else’s work. A fun item I made for baseball fans and players – baseball themed key fobs. I have a round baseball, a heart baseball and initial baseballs. The round one and heart can both have an initial or player’s number embroidered on for additional personalization. Personalized baseball hats are also a great addition to your shop. There are so many options for personalized hats, and you can use embroidery, vinyl or sublimation to add any design or monogram. Spring is also the time when people start adding flourishes to their home and garden. Nothing says spring like a beautiful, brightly colored wreath on the front door or a cheery garden flag. You can customize them in so many ways, and your customes will surely love what you create. Do a few mock-ups, create some for a spring festival or booth, put a wreath on your door or garden flag in your own garden. Take some lovely photos and post them on all your social media pages. Make sure you watermark them so people can always find you. Remember – you need to start promoting holidays at least 4 weeks in advance to ensure you have time to create items and ship them to customers. Consider purchasing a nice backdrop you can use for your photos so that you have consistency in the look of your shop. My favorite place for backdrops is Swanky Prints on Etsy – there are so many to choose from in a variety of prints and sizes. Don’t forget that when you shop on Etsy you can use ebates (click on the link and if you sign up and spend at least $25 with any ebates store you will earn $10 right away). If you have several items to promote for upcoming holidays, use the scheduling tool on your Facebook page to plan ahead. You can set each post up to go live at a specified date and time so you don’t have to work on that part of your business every day. And, as an added reminder, if you use embroidery and SVG files – make sure you are backing up your files in the cloud and/or on an external hard drive. The last thing you want is to lose all your hard work to a computer failure. I’ve seen it happen to people too many times! I use both Dropbox and OneDrive. Use my Dropbox link and you will get 500 MB of bonus space when you sign up. Using my OneDrive link you will receive 0.5 GB of free storage. You can never be too careful with your files – don’t risk a huge impact on your business by not being prepared.